Attractions in Belfast, Northern Ireland. A guided journey into the dark shadows and alleyways of haunted Belfast. 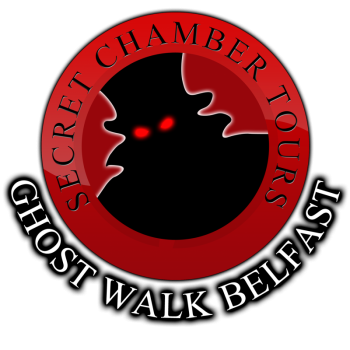 Along its dark walk ways and entries you will hear ghostly tales dragged and dredged from the files of the famous Cloak and Dagger club, an exclusive group of master storytellers and authors of the soon to be released guide book “Walking Haunted Belfast”. The Belfast Ghost Walk has in recent times become one of the most popular tours in belfast, originally it began as a series of short stories told among a small collection of enthusiasts of the paranormal and historians of old belfast. Over the years this group grew and became the Belfast Cloak and Dagger Club covering all sorts of history, from victorian crime such as Jack the Ripper, to supernatural tales of the city, even to the great history of Titanic and the men who built her. The Belfast ghost walk brings all these quirky, entertaining and terrifying tales to life in and around the dark entries and cobblestone streets of Belfast city. The Ghost walks and haunted pub tours continue to facsinate all who visit Belfast and remains a must do for locals and tourists alike. So join us now as we journey into the dark shadows and alleyways of Haunted Belfast.